Green Logistical Management | PROSPERCO | Prosperco Logistics Int'l Corp.
“We only have one world” so the responsibility of maintaining and protecting this world falls on each individual and organization. Prosperco Logistics Int’l Corp. feels that in order to achieve a lasting success, one most first start with caring about your surroundings. Global warming has become a key issue over the past several years, with the logistics industry being faced with pressure to cut carbon emissions. Prosperco Logistics Int’l Corp. places great focus on minimizing the burden of carbon emissions throughout the logistics flow. From a machinery standpoint, we use environmentally friendly tires and incorporate the SCR emission control system. 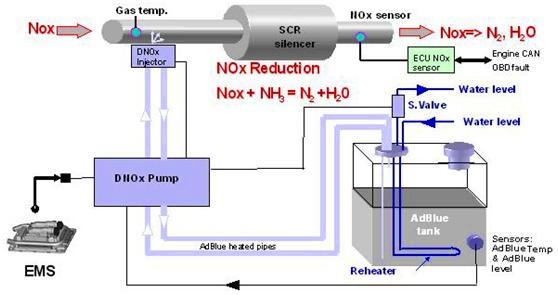 The SCR emission control system, known by its full name as Selective Catalytic Reduction, uses the chemical reaction between ammonia and urea to convert toxic nitrogen oxide to nitrogen gas and water vapor. This not only meets the environmental protection stage 4 diesel standards, but already is up to par with stage 5 environmental protection guidelines. When providing a quick and reliable logistic platform for customers, it is also essential to minimize carbon emissions, utilize time and make a cleaner environment for us all. Prosperco Logistics Int’l Corp. will continue to fight for the world we live in, living up to the responsibility each individual has to care for and protect our planet.